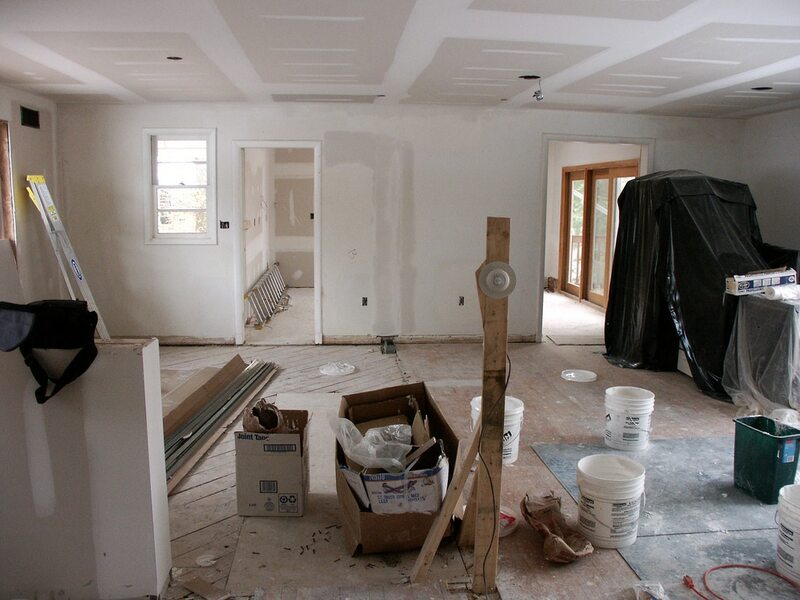 We'll list the steps you will need to know how to prepare for painting drywall. We'll explain each step from the start of a brand new wall up to the finished product. We will start by how to prep drywall for paint. Your new walls are (finally) finished. Now to painting drywall. If the monkey crew did not sand it to your satisfaction, you’ll need some 150 or even 200 grit sandpaper. Look closely the drywall holding a light in one hand and sandpaper in the other: what you see now is what you get later. Paint does not fill cracks or smooth out rough edges! This is for your home improvement, so go all out. For your rental property, we usually let it go as the sanders left it. 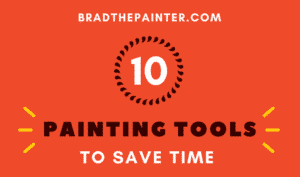 Now get your painting tools ready (check my post on painting tools if you have not already). Paint the new drywall first with a drywall primer (you can find it here) on all the walls right to the corners. Paint walls with your color. Apply 2 coats of paint, yes two. One is never enough on new walls even if you tinted your primer! Tinting a primer can only come close to the final color and is helpful when you are using bold colors. Now you’ll need to remove the dust from the new drywall. If you don’t do this, your walls will have a rough feel and look because the dust clumps up into grit in your primer later. Start with a wide dry broom on the ceiling if it is new (even if not, clean it! ), and let the dust settle a bit. You’ll want to have a dust mask on. I just use my respirator but take out the chemical filters as they are expensive and there is no need for them in most cases. You can read more on respirator mask here. The dust filters are cheap and save your lungs for your old age when you will probably need them. Next, broom the walls and let the dust settle. Do a first rougn sweep, then a finer sweep, then go to your mop. Don’t use your good vacuum as this dust will kill the machine! If you do not have a shop-vac, (one with a filter, not the gravity chamber type which will just blow around all the dust)use the broom. Important: we do this sweeping/mopping now because we don’t want to be kicking that up during the work. Next, you want to give the walls a final dusting with a barely damp cloth or sponge–not wet, but just barely damp. This will pick up everything. If the wall gets wet at this point, it will cause a time-sucking problem: more spackle. 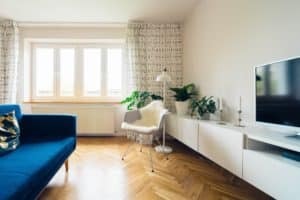 Yes, you must clean floor to ceiling because if you don’t, the paint roller will pick up the dust and create a wall finish that is rough like sandpaper. 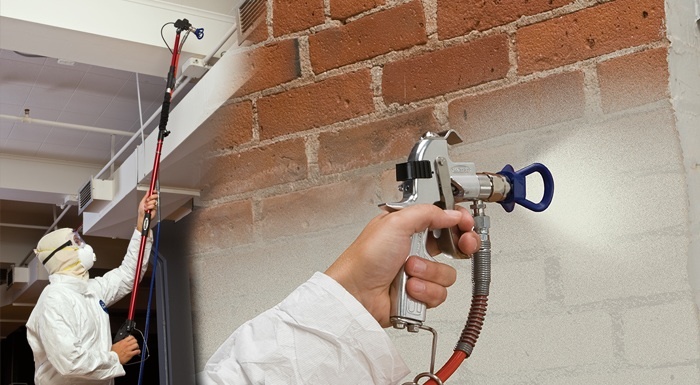 Professional drywallers use stilts that save an enormous amount of time. One must start with the stilts on a low setting and gradually work up to full extension because a fall from any height is the same: gravity will not fail. Use this one-minute instruction video. 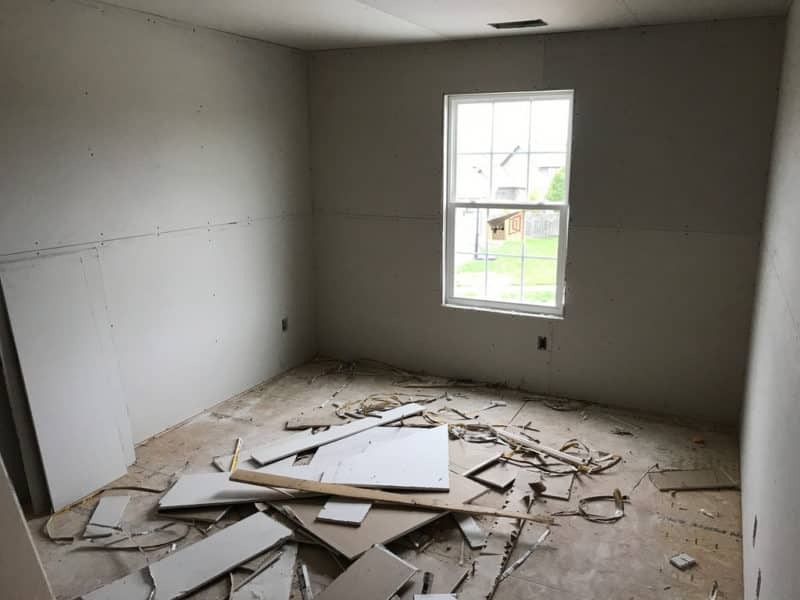 To paint your new drywall use a drywall primer first, you’ll need to use actual drywall primer, which is a bit cheaper than most primers: it has only what you need (assuming you have not stains or mold etc). Read more about the best drywall primer in this post. This is one of the few times I would say that it is fine to use a paint and primer in one. I have written about why this is usually not a good idea, but for a brand new wall, it does save time. If you try to use regular paint as a primer, the seams (where the tape was covered with mud) will show through every coat of paint! No need for Kilz or other stain blockers. Although it is something you will always want to have around (I just leave a small brush in the can). Just look for a “low-VOC” drywall primer. or wear a respirator! Be sure to prime right to the corners. So you see painting drywall is a bit involved, but there really is no other way. There is no “fastest” way when you are painting drywall. Now you are parked on the downhill for painting your new drywall. You have picked your colors and you will apply 2 coats.